Did someone day Buffalo Chicken? -We use Frank’s Red Hot Wings sauce…it's not as spicy as regular hot sauce! Put the chicken, ½ the sauce, and the dry ranch mix into a slow cooker. Cook on low for 7-8 hours. Use two forks to shred the chicken and mix together with the remaining sauce. Use whole wheat buns to make buffalo chicken sandwiches. Bonus: Add some veggies to your sandwich, such as lettuce, onion, and tomato slices, or try piling on some coleslaw for a crunchy, tangy twist! 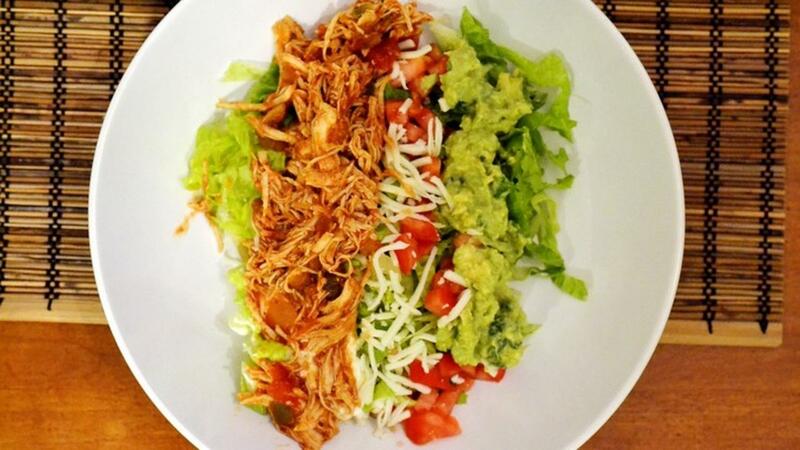 Add the chicken on top of a bed of lettuce and a mixture of your favorite veggies and salad toppings. Bonus: Guac goes surprisingly well with this chicken. Add some to your salad for a heart healthy boost!